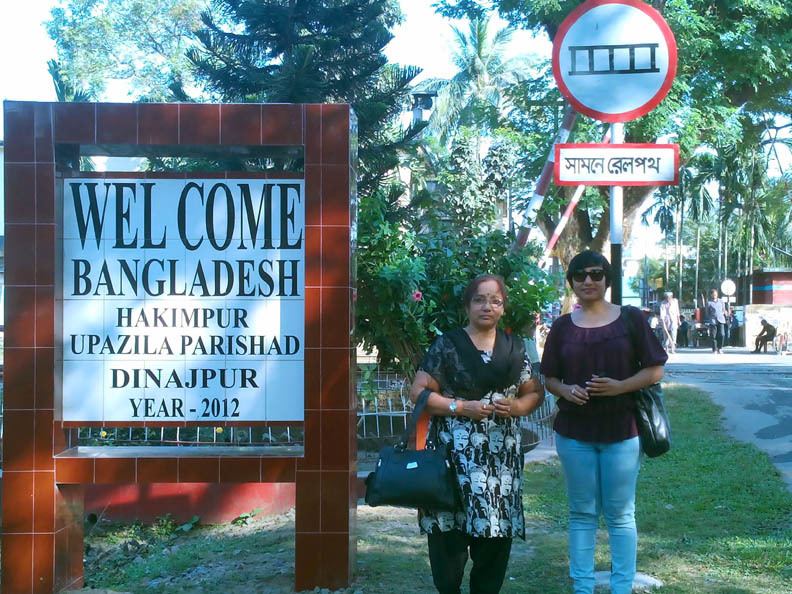 The unplanned Balurghat trip just happened out of the blue between 21st and 22nd November 2015, when my mother wished to visit the place where she had spent 3.5 years of her childhood days. I was trying to go during the time of Diwali but Destiny had something else in store for me. Later my sister also joined us. The journey by Gour Express was terrible –maybe because I always find train journey horrible but overall the trip was adventurous and my mother succeeded in seeing all those places that had etched out memories in her mind, 52 years ago! 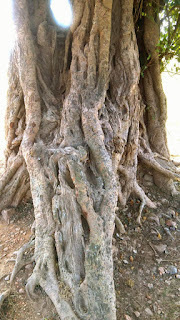 Accommodation, eating joints and internet connection can pose challenges for an individual if one is not well informed about the place. 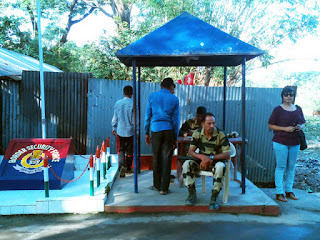 We reached Balurghat late and post-lunch we started our sight-seeing with Tior Kali temple, and went on to see the India-Bangladesh border at Hilli, spoke to two Bangladeshi individuals who probably offered “Dawat” to Bangladesh (I could not understand the accented Urdu mixed Bengali language clearly) and the BSF jawan posted there. 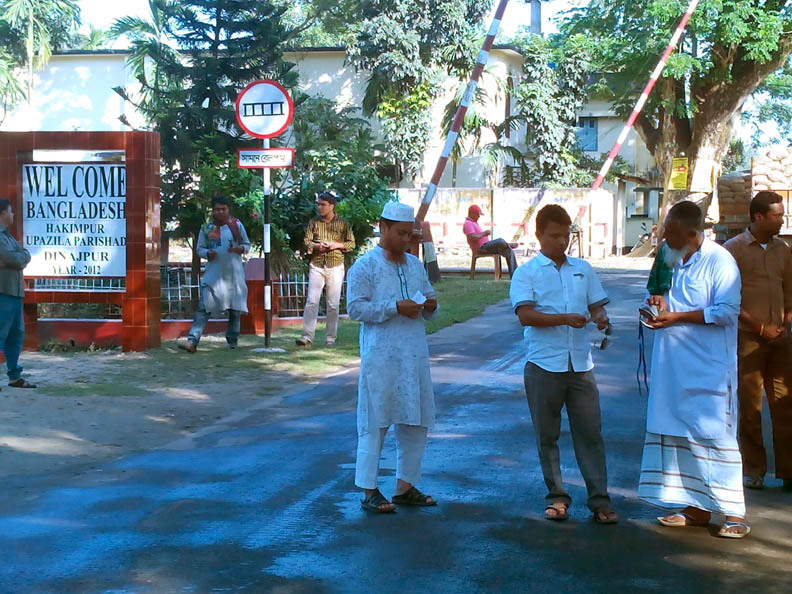 While standing on the No-man’s land between India and Bangladesh, I genuinely felt sad and emotional thinking about the consequences of the current and erstwhile political conditions, India’s partition, how the common man has become a victim of the situation. 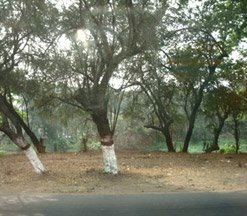 Now one has to take permission to go to the land that was once upon a time, a part of India’s identity. From Indo-Bangladesh Border we went to see the Choddho Haath Kali temple at Hilli and Bidyeshwari Kali temple at Patiram. Choddho Haath Kali temple sees a 14 human hands long Kali idol worshipped on a new moon night in the winter time. 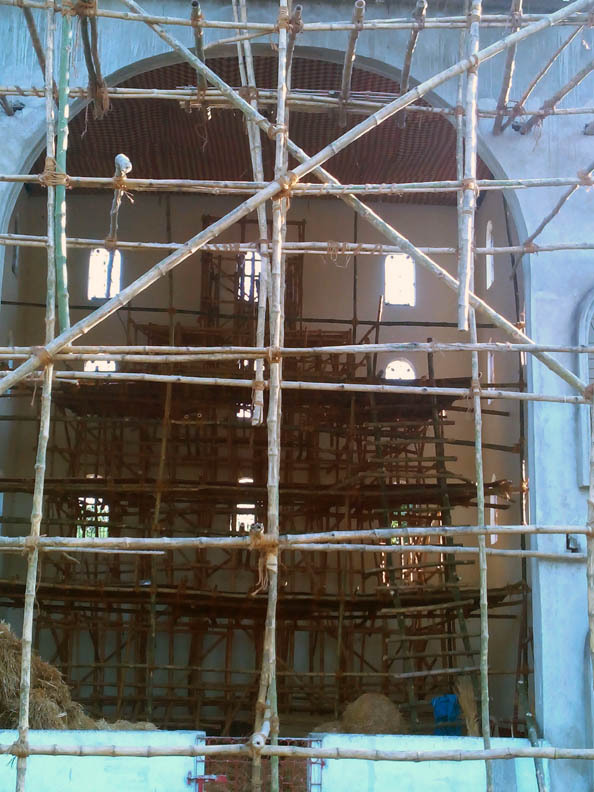 It is attended by the people of India and Bangladesh and this year the puja will be held on 10th of December. On the second day of our trip, after we visited the Burama Kali temple, we had decided to visit two other places - Bolla Kali temple at Bolla village and the excavated site of Bangarh (not Bhangarh of Rajasthan) that is some 45 kms away from the town. I had read a lot about these two places before we reached Balurghat and my excitement had soared. 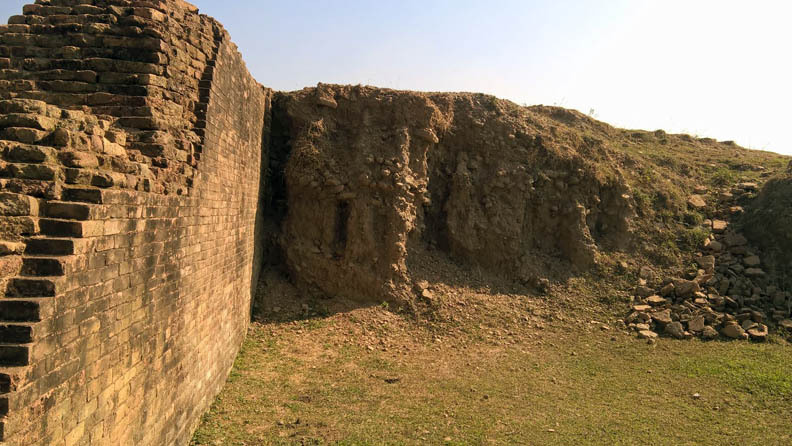 Other places where we couldn't go were tomb of Bakhtiyar Khiji on the western side of Bangarh on the bank of Punarbhaga river, Maulana Aata Shah's dwarga, Patiram Thakur Estate, Patiram Dhaam, Sarongbari forest, Tapan Dighi, Dogachi forest, Raghunathpur forest, Barihatta, Kal and Dhal dighi, Mahishbathan, Mahipal lake, Shamibrikhkho and Panch bhaya village, Matasha lake, Jyotirmoyee temple, Baba Agnihotri temple, Khanpur, Kulik Bird Sanctuary at Raiganj, Usha Haran Road. Before I write further, I must mention that mad people like me and my sister who have interests in seeing these things would perceive things differently. 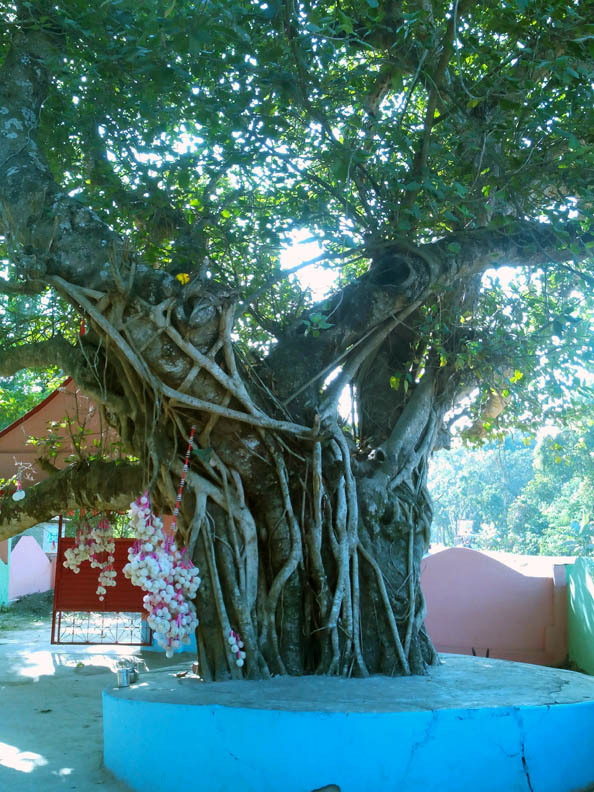 What surprised us immensely was the fact that the people whom we had met before going to these two places, said – “there was nothing to see at Bangarh” nor could they say anything clearly about the Bolla Kali temple. 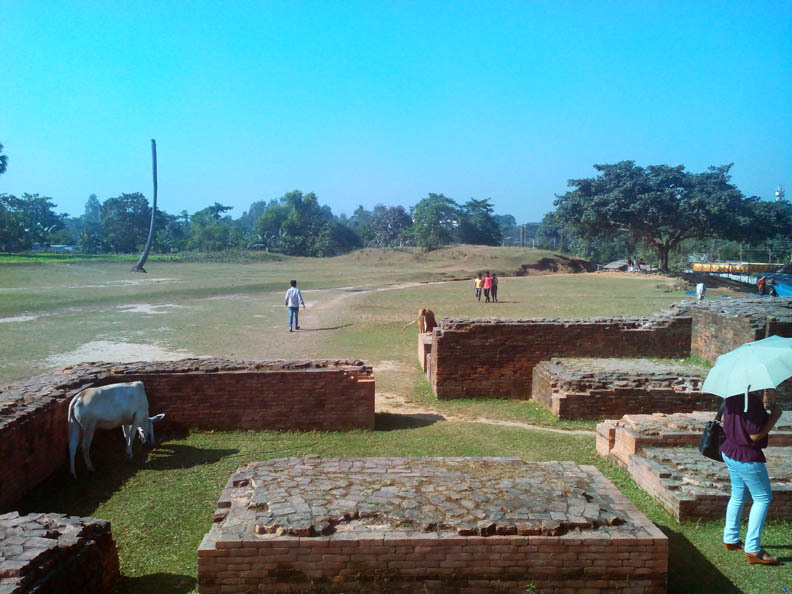 Before going to Bangarh, one must visit the Dinajpur District Museum and see the excavated statues and figurines acquired from various sites in and around Balurghat. 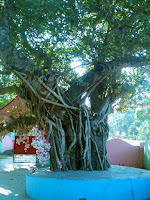 Most of these comprise Vishnu, Saraswati, Lakshmi Narayan, Vasudev, Surya, Manasha, Ganpati, Shiva (and Nataraj), Kali, Bhairav, Bramha, Chandi, Ardha Narishwar from the eras of the Mauryans, Guptas, Palas and the Senas. 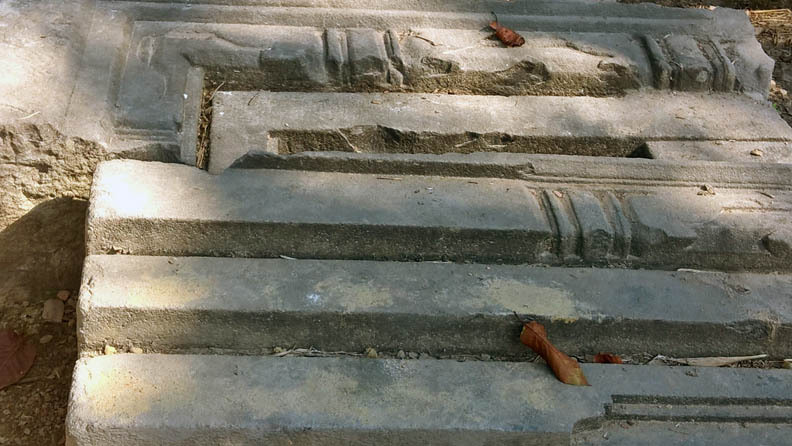 The finesse with which some of the statues – sculpted out of slate or black granite stones - were done during the era of the Senas differentiates them from that of the Pala dynasty. And we also get an idea about the religious influence of those eras. 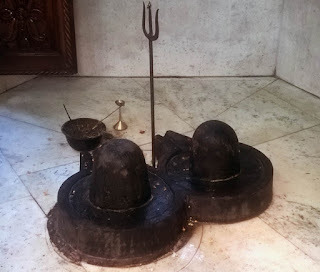 When we entered the Museum, we got to see a black coloured Nandi bull, a flat cylindrical wheel like structure next to it and a ganpati statue behind it. I was purchasing the tickets while my sister was touching the bull. Suddenly, she smiled and told me to feel it. 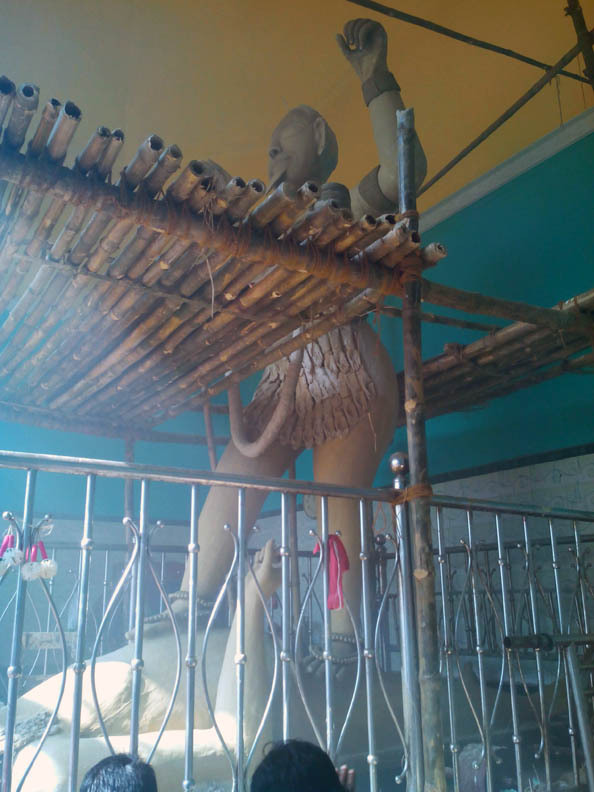 It was pulsating and so were the flat cylindrical wheel and the ganpati behind it. Deepta you must see these things! I was surprised and enquired about the centuries they belonged to. The person gave a vague reply and took us around to show us the other contents. I must say that alongwith all these there were some old coins, thing like the eight annas stamp papers; or the parchment papers bearing ‘Manashamangal’ epic text that reminded me of my ICSE/ ISCE Bengali papers. 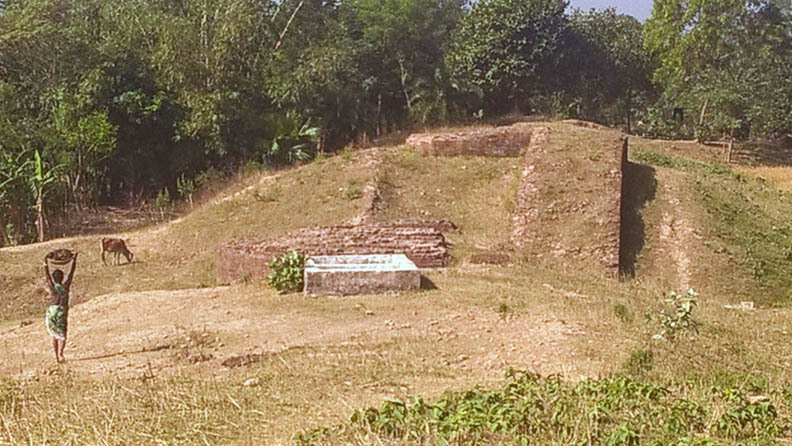 One of the black rocks at the Bangarh site and the four octagonal pillars of Vishnu temple still pulsate when one touches them. One interesting thing about the pillars is the carvings on them - pyramidal and rectangular forms. 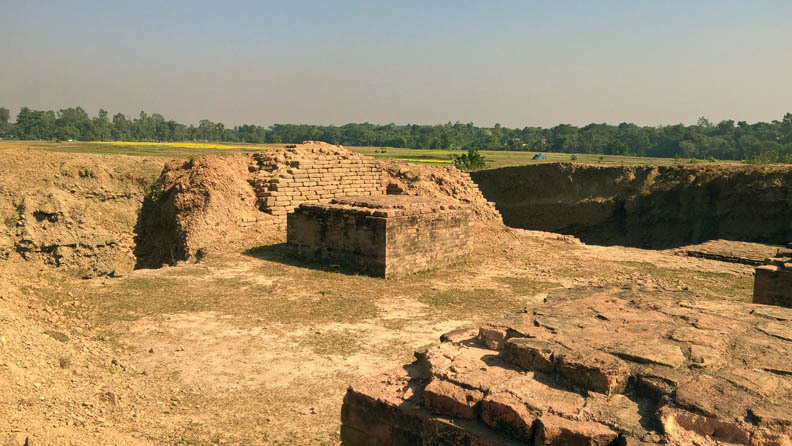 From ancient manuscripts and inscriptions archaeologists have come to know that there was a district named Kotibarsha with its capital at Devkot near Gangarampur town, which was locally known as Bangarh, which is located at a distance of about 45 km from Balurghat. 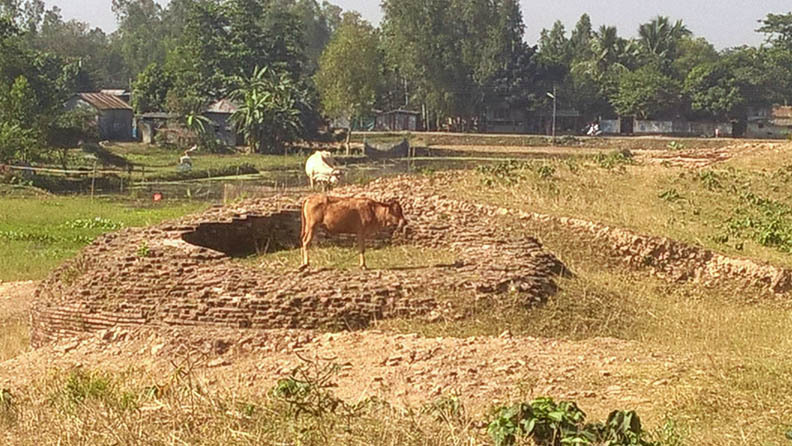 The place has historical significance, as numerous excavations have unearthed several archaeological ruins and icons, especially from the Mauryan period to the Muslim period. 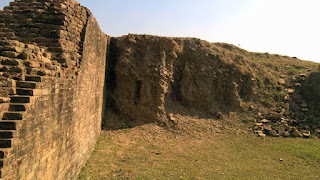 In fact, during the Gupta period, Bangarh was the capital of the district of Koti Barsha in erstwhile ‘Pundra Vardhana Bhukti Pradesh’ or North Bengal. 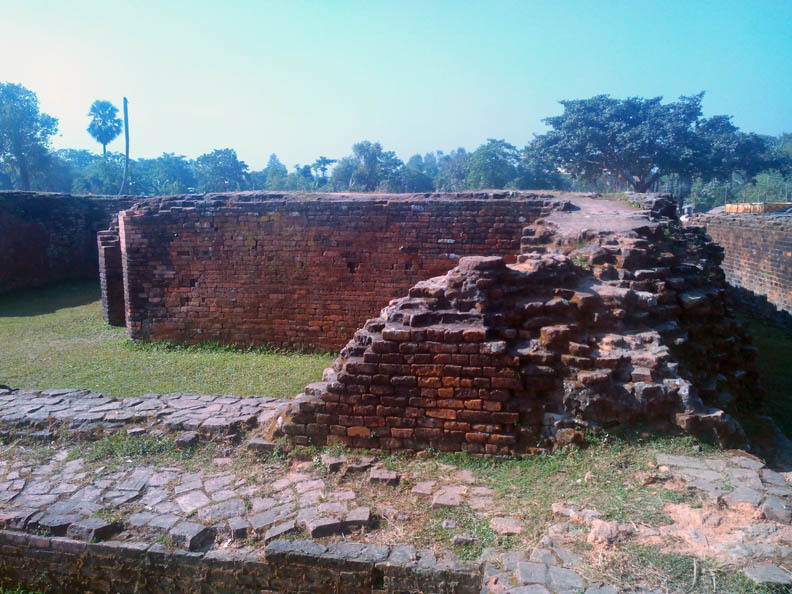 The list of ancient remnants discovered here includes manuscript of King Naipala of 11th c., statue of century, octagonal granite pillars of an old Vishnu temple, walls of buildings, statues and other small objects. The ruins of Bangarh tell a lot about the importance of this area. 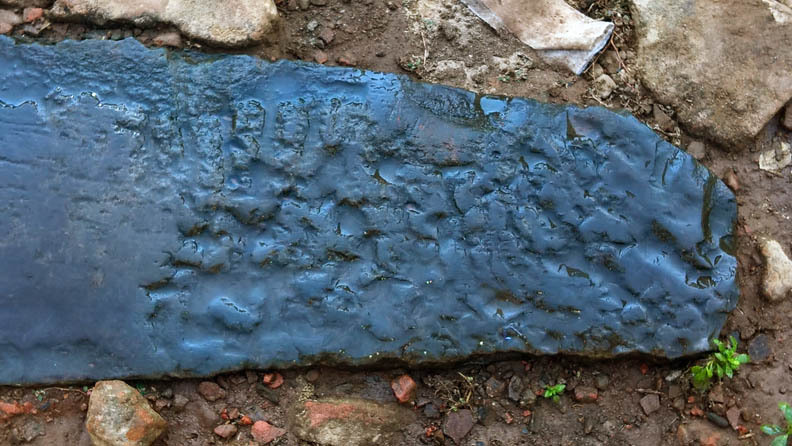 Its capital town Devkot is considered to be a historically famous place, from where a large number of inscriptions dating from Ashoka age to the Middle ages, have been discovered. 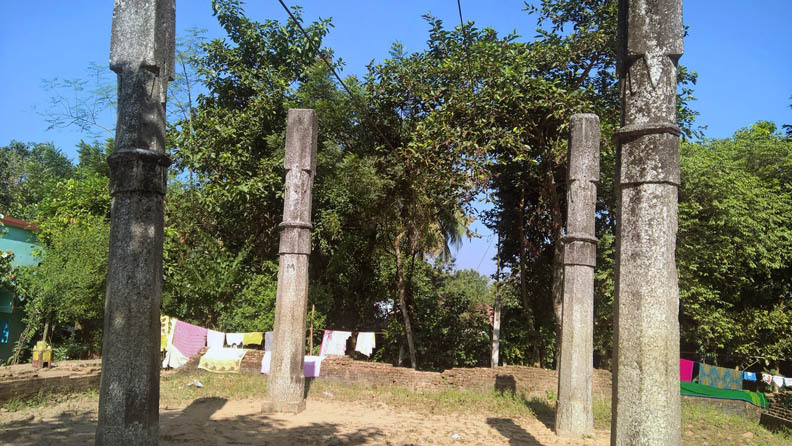 The four pillars of Vishnu, which the local people call “Chaartey Kola Gaach” is now surrounded by huts near a Catholic church in the heart of a village in Bangarh. 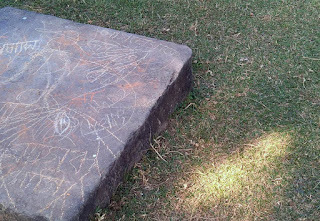 Till date one can see some slate pieces strewn around, fragments of some sculptures scattered here and there. Some villagers have found pieces and have retained them without knowing the importance. 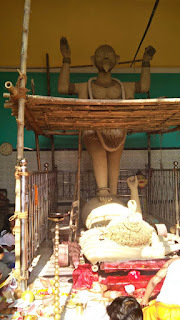 One young man even mentioned that a Lakshmi Vishnu idol had been snatched away from him by some people traveling on the highway on one night. He was offered 50,000/- to a lakh of rupees for handing over the idol but he insisted that he would like to retain it for his worship purposes. He was forced to part with it when they held the pistol at his head. 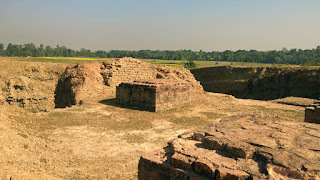 While returning from Bangarh we missed the dwarga at the excavated site; and the 260 years old Kantaji temple, which has intricate terracotta works on it walls and is located at Bangarh because the driver was unaware of its existence. Built on sandstones blocks during the reign of Maharaja Prannath, the nava-ratna temple had four corner towers decorated with rich ornaments and was dedicated to Radha Krishna. 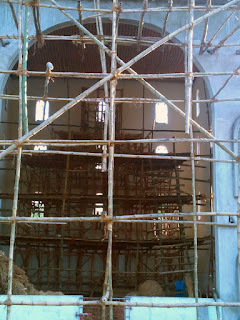 On its third storey there was a central tower that collapsed in the 19th c.
Frankly speaking, Wiccans like Ipsita Roy Chakraverti, Deepta Roy Chakraverti; or people who study Tantra might be able to tell more accurately about earth's potent energies and the Devi's power felt at these kinds of sites – at Tior Kali & Choddo Haath Kali temples (Hilli), Burama Kali temple (Balurghat bazaar), Trikul Kali (near Balurghat), Bidyeshwari Kali temple (Patiram), Bolla Kali temple (Bolla village), Shuur Kali temple (popularly known as Daakat Kali though it was never worshiped by dacoits), and so on. 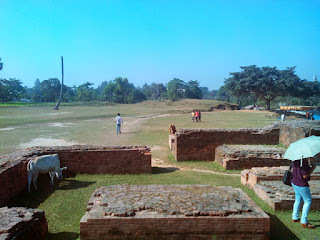 Except for the Trikul Kali temple I could manage to see all of them and each one of them has an interesting story to tell! For me Bolla Kali turned out to be the star attraction of my entire Balurghat trip. She was like a showstopper of a fashion show – keeping people eagerly waiting till the end of the ramp walk on the T-shaped stage! I actually felt like that when the driver told us to visit her at the end of our sight-seeing else we might not be able to pay a proper visit. The village Bolla is situated 20 km away from Balurghat town on the Balurghat- Malda Highway. 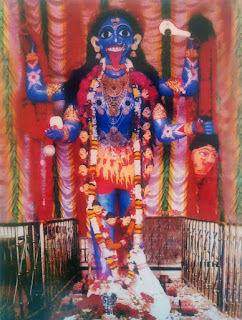 There is a famous Kali temple named after BOLLA Ma Kali. The story behind the temple says that a zamindar was arrested by the British as he could not pay the tax for his zamindari. 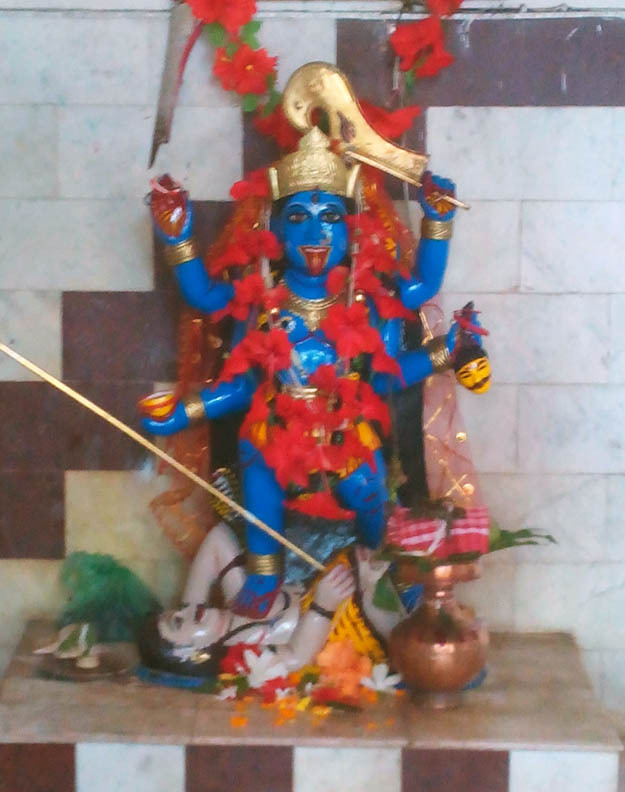 Goddess Kali came to his rescue and the Zamindar was freed the very next day. 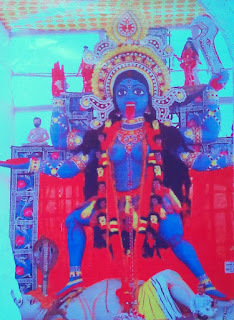 As a token of gratitude, he built a temple of Goddess Kali and started worshipping her. This is a story that we get to see in the website but the book written by Dr Hirendra Narayan Sarkar says a completely different story. 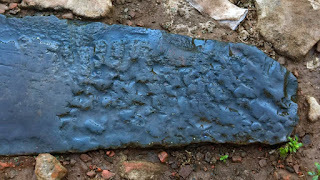 Some believe that worship of Bolla Kali in this belt dates back to 10th or 11th c. AD, during the last segment of the Pala dynasty rule at Bangarh. 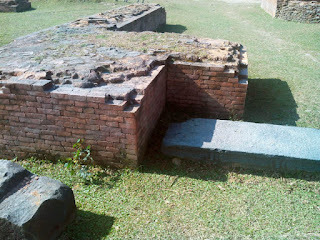 It was during that time when Tantra was taking a concrete shape in North Bengal belt alongwith Buddhism and Jainism. 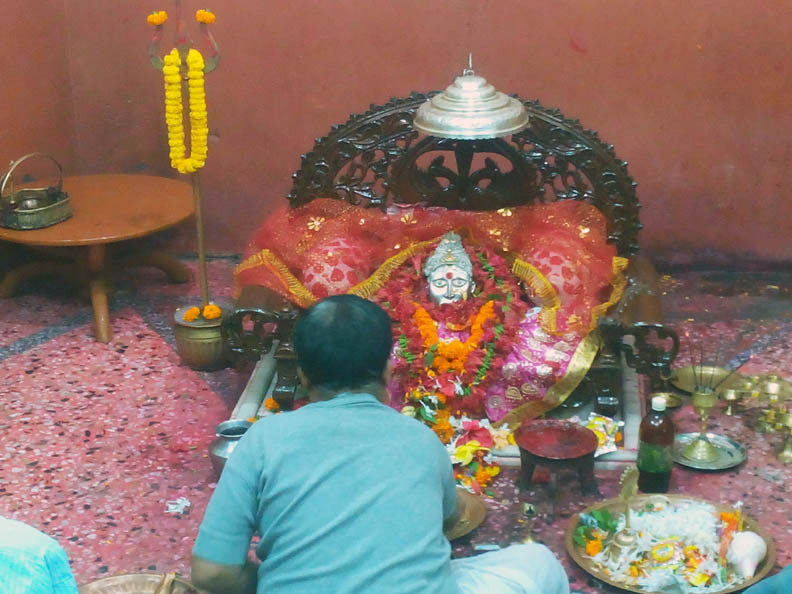 Initially, the Goddess was worshiped in the Tantric format by various sages and it is believed that as a result the potency of the place has thus increased. 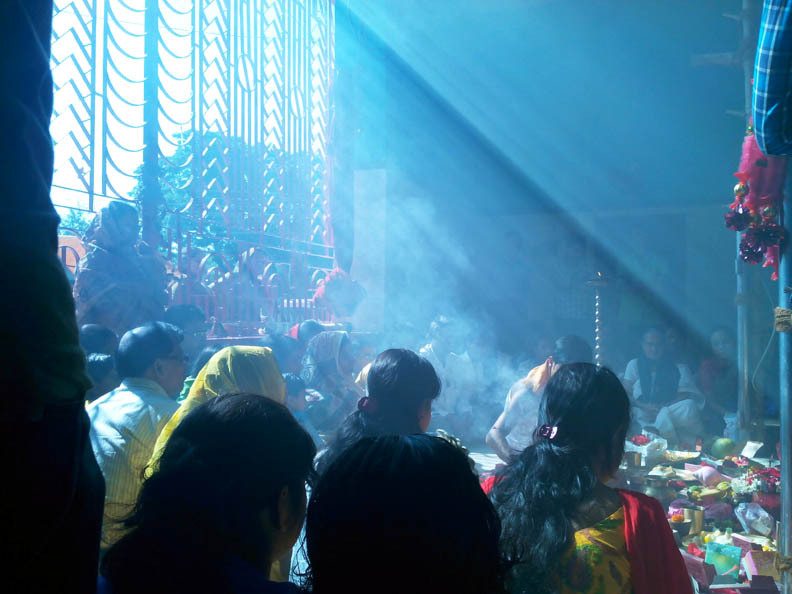 Even today the first Friday after Raash purnima (full moon cycle that mostly falls in and around every November) witnesses 3.5 lakh devotees visiting the village. 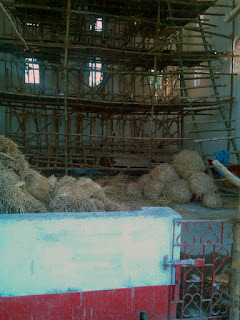 A three-day fair is organised at the village during this time. People who see their wishes getting fulfilled go there – offer animal sacrifice/ donate various things including ornaments made out of precious metals and stones/ small Kali idols of various sizes during this puja. One would see people working tirelessly with yellow coloured ‘Etel’ mud and straw creating thousands of idols for those three days affair. This year from Friday 27th to 30th November 2015 would be the time when the devotees will witness the idol of the Goddess bedecked in jewels that are kept with State Bank of India. I was impressed by the huge unfinished Kali idol that is equivalent to the length of 7.5 human hands and the ambience within the temple premises, which saw many other devotees sitting around the purohit and praying. Both my sister and I were totally awestruck and stared at her, mesmerized. 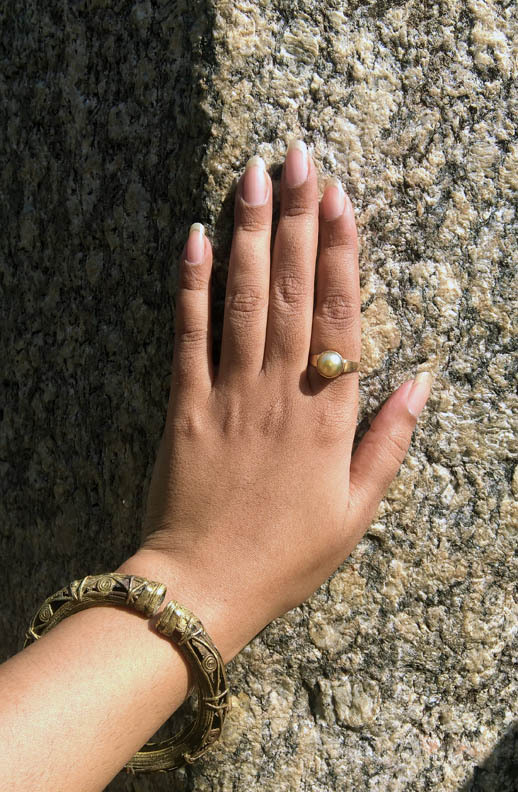 Instantly, a strange calmness descended upon me and all the unnecessary stress acquired over the past two and a half years - in my professional life - seemed to ebb away. I was overwhelmed and was convinced about the purpose that had actually dragged me to Balurghat. When I had stepped out I was completely relaxed and while I remembered Deepta Roy Chakraverti’s words, there was a smile on my lips. My school friend Indrani Biswas had also said a similar positive thing before I had started towards Balurghat. My college friend Debjani Chunder sounded super-excited when she had heard about the trip and said - “You can go only when there is a divine call for you” - when she heard about Bolla Kali and other Kali temples in that region. 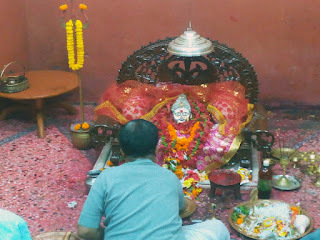 If the Goddess so wishes I will go there again to see her in the near future even if it is only for 15 minutes. And may the Goddess bless both of you – Deepta and Indrani for being so understanding and supportive! Thank you! There were more places where we couldn't go. Interesting and informative! Thks for mentioning me.